The Minnesota and Wisconsin Discovery Farms Programs have recently received a Conservation Innovation Grant (CIG) from United States Department of Agriculture – Natural Resources Conservation Service for “Developing Diagnostics to Improve Water Quality and Soil Health on Tile Drained Lands in Minnesota and Wisconsin.” This grant will allow Discovery Farms Programs in both states to continue efforts to identify the timing and mechanisms of soil and nutrient loss to tile drainage systems. CIG are competitive grants that stimulate the development and adoption of innovative approaches and technologies for conservation on agricultural lands and use Environmental Quality Incentives Program funds to award competitive grants. Please click here for more information on the CIG program and 2016 awardees. 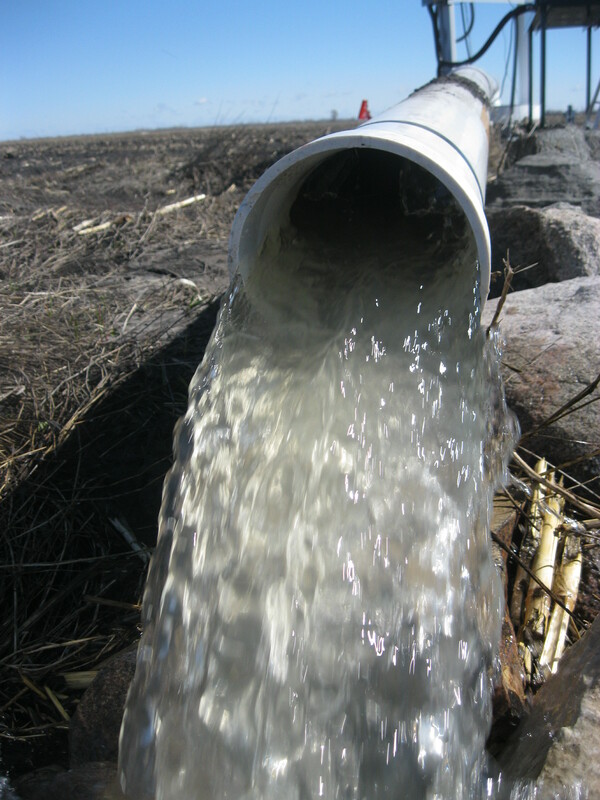 Nitrogen and phosphorus loss through tile drainage is a significant water quality concern in the United States, and especially in the Mississippi River Basin and the Lake Michigan Basin. In the Upper Midwest, fields that are typically too wet to yield a reliable crop benefit tremendously from installation of tile drainage. It is critical that farmers are provided with diagnostic tools that can identify fields or practices with a high potential for nutrient loss through tile drains. Recent soil health initiatives focus on increasing soil structure and biology by increasing plant diversity and vegetative cover and decreasing soil disturbance. Improved soil health has the potential to improve water quality, however, there is a lack of research on how soil health measures relate to tile water quality. The Discovery Farms Program conducts water quality research on privately-owned farms in Wisconsin and Minnesota. The edge-of-field research conducted by these programs now exists as a database of over 150 site years. With data on surface and tile runoff, Discovery Farms has conducted extensive educational outreach on the importance of management and maintenance of tile drainage systems to promote water quality improvement. Results from on-farm monitoring show benefits from management that includes practices like cover crops, appropriate rate and timing of nutrients and careful attention to the condition of tile drainage structures. To promote continued improvement in agricultural productivity, soil health, and water quality, Discovery Farms Programs of WI and MN are partnering to 1) provide the tools for farmers and farm advisors to diagnose and treat fields with high nutrient losses through tile drains and 2) understand the link between tile drainage and soil health and 3) increase access to conservation practices related to monitoring currently offered by NRCS. At least 24 farmers in each state will have the opportunity to utilize data from their personal fields to understand the mechanisms and timing of nutrient cycling. Participants will understand and implement management changes that reduce nitrogen and phosphorus loss through agricultural tile drainage and increase soil health. This project has the potential to improve water resources and soil health while protecting farm productivity and profitability. The project is based on a tiered water monitoring network approach with intensively monitored tile drainage outlets surrounded by satellite locations with more simplistic monitoring. Look for more information on the project this winter as the locations are identified and installed.